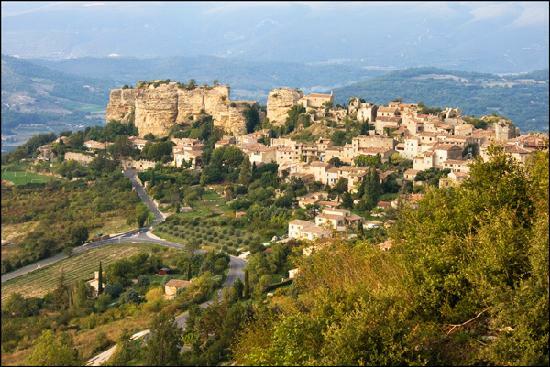 Every few summers, when fair New England villagers are steeped in oppressive humidity and sweltering heat, the Lord, Lady, and Little-Lady Copperpot retreat to their Saignon villa, perched in the Luberon mountains of southern France, for some much deserved relief and rejuvenation. It is a land of pain au chocolat, wine that flows like water, afternoon naps, and rich, creamy, impossibly inexpensive cheeses. Zanadu, really, except for all the French people. Basking in the arid, rarefied air of the Provencal countryside, I reified my quest to find exquisite brews that might befit this idyllic setting, and that might achieve a true harmony with our other luxurious indulgences. So perhaps my expectations were a bit unrealistic. These people know wine, not beer. The dry, windy climate and hilly terrain are ideal for grapes, not hops. But was Lord Copperpot going to spend a near fortnight exclusively drinking rose? I don’t think so. I had to make the best of an unfortunate situation. Leffe, as many of you know, looks like it is brewed in a Belgian abbey, sounds like it is brewed in a Belgian abbey, but alas is brewed in the Stella Artois factory which is owned by, you guessed it, InBev. 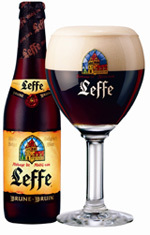 Turns out that hundreds of years ago Leffe used to be brewed exclusively in the abbey, but that several centuries of disasters and bad luck forced them to sign a deal with a major brewery, which was subsequently aquired by InBev. And apparently the French love the stuff, because you can get in anywhere. I decided to give them a all a try, simply because I lacked a viable alternative. 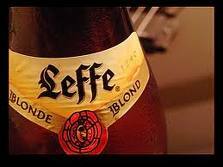 Leffe Blonde. 6.6% ABV. Their flagship is a boring, Belgian Pale Ale. Hints of grains and citrus, and that’s about it. Not very well incorporated. Could be a session ale, if you could stomach more than one. 1.5 Hops. Leffe Tripel. 8.1% ABV. The Tripel is more complex than the Blond…but not by much. There’s a definite alcohol astringency that hits you. It’s a step up from the Blonde, but that’s not saying much. 2 Hops. Leffe 9. 9.0% ABV. Again, kinda tastes like the Blonde but with much more alcohol, and maybe a hint of banana ester. By the time I had the Leffe 9, I was starting to think that perhaps a glass or two of rose wouldn’t be so bad. 2 Hops. Leffe Ruby. 5.0% ABV. It started to get real ugly here. The Ruby tastes like the Blonde, only if you squirted cherry-flavored high fructose corn syrup into the bottle and shook it up. I wish I were joking. .5 Hops. Leffe Radiuse. 8.4% ABV. This is a more complex version of the Ruby, only not as vomit- inducing-ly sweet. Still, I would never buy this again. 1.5 Hops. Leffe Brune. 6.5% ABV. Just call this one the redeemer. Shocking, I know, but InBev makes something drinkable. The Brune has a great blend of malts, yeast, a touch of spicy fruit, and some caramel. And to boot, the alcohol content made it a perfect session beer. This became our beer of choice on that manor. 2.5 Hops for the Brune. Probably the best beer I had in France, but miles behind anything you can get in the states. The lesson is, as always, never go anywhere. I used to be a sucker for the Leffe Blonde until I realized it’s really the bottom of the barrel in that category. Like you said, not a bad session beer but I wouldn’t be chugging these things down with regularity. I’ve actually never seen any of the other Leffe offerings while travelling abroad except for the Brown, which isn’t half bad. From the looks of it, I’m not missing out. Leffe Ruby, I award you .5 hops, and may God have mercy on your soul.